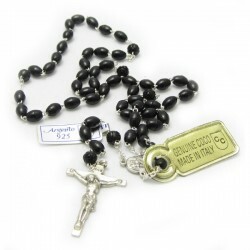 Online sale of silver and coconut rosaries with binding and silver-plated crucifix. Made in Italy. SILVER AND COCONUT There are 2 products.